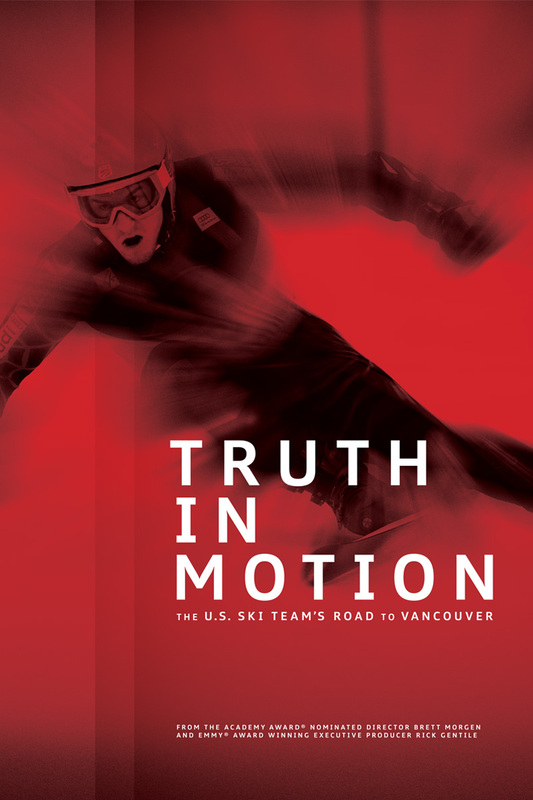 Truth in Motion: The US Ski Team’s road to Vancouver is a film about what it takes to excel as a world class skier. Raw talent. Technical skill. The persistence to train hard, every day. The sheer will. The men and women on the U.S. Ski team have it, but do they have what it takes to make it to the 2010 Winter Olympics? Entrenched with the skiers during the crucial months leading up to the start of their competition season, the film is a rare look inside – intimate and candid, in a way rarely if ever seen in film about skiing. From snow camp in Portillo, Chile and Saas Fee, Switzerland, to the final days leading up the start of the World Cup competition in Sölden, Austria, we’re there as they face the sub-zero dawn, as they review videotape of training runs with coaches, scrutinizing every turn and tuck. We’re in the basement with expert ski techs as they grind edges and apply wax, tweaking equipment for every conceivable condition, then tweaking further when their skier returns from a run. Each racer emerges with something unique that drives them – trying to repeat an early success to prove their talent; returning from injury, or even making the cut for the Olympic team in a competitive year. In a sport where hundredths of a second determine the difference between a gold medal and no medal, their training season is about pushing the limits of their bodies and their technology. The filmmaking approach conveys this with progressive camera techniques, like ultra slow motion cameras that literally stop time, allowing us to see every millisecond of force and exertion as these skiers carve corners and push their bodies to breaking point.